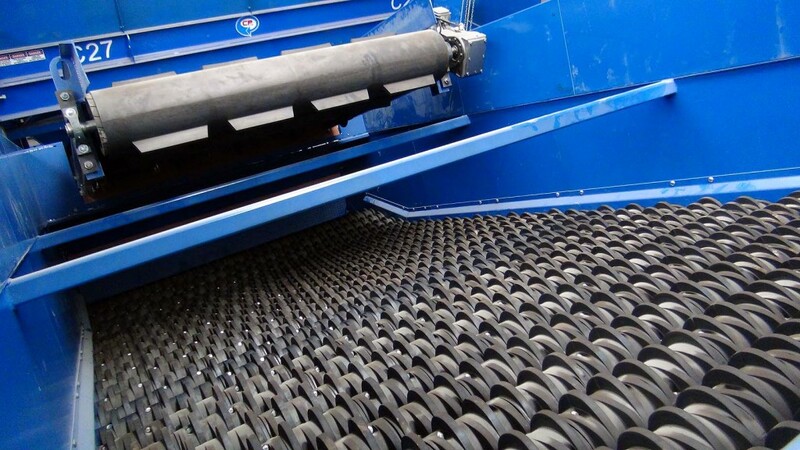 Scott County, IA partners with CP Group to Install Single Stream MRF | MSS, Inc.
Davenport, Iowa—Waste Commission of Scott County, Iowa (WCSC) partners with CP Group to decommission its existing dual stream recycling system and install a new single stream material recovery facility (MRF). The new MRF will help WCSC achieve its goal of recovering more recyclables throughout the county while minimizing solid waste going to landfill. The system’s targeted performance rate is capturing 95% or more of the recyclable material. “There is a lot of material to be processed,” says Kathy Morris, Director of the Waste Commission of Scott County. WCSC’s service area reaches 75,000 households throughout Scott County, the third largest county in Iowa. “Moving from dual stream recycling to single stream recycling will increase the quantity and variety of recyclables recovered in the WCSC’s service area,” adds Morris. The MRF will also bale plastics, cardboard, and other material from WCSC’s nearby Electronic Demanufacturing Facility. California-based CP Group has been selected by WCSC to decommission the old equipment and build, install, and start-up the new single stream recycling system, which will handle approximately 20,000 tons per year (or 10 tons per hour) of residential recyclable materials. New CP sorting equipment will be used in conjunction with both a new and an existing baler to create an integrated, cost-effective solution in WCSC’s existing building. CP disc screen technology features prominently in the single stream system. The CP OCCScreen captures cardboard commodities, while the CP Glass Breaker Screen captures glass and removes fines. The CPScreen uses patented cam-lobe discs that offer the proper agitation to separate 3D containers from the 2D fiber, helping WCSC achieve its targeted 95% material capture rate. Advanced MRF, CP Group’s electrical controls division, will engineer and install WCSC’s advanced electrical controls and UL 508A certified enclosures. The system also features several key ergonomic improvements, such as the inclusion of maintenance rolling equipment paths that providing more access to equipment for maintenance and safety. Startup and commissioning of the single stream system will take place July 2016.